Home / Uncategorized / Unveilings and How To’s Series Intro! Ever wonder how your Bird (Lion, Octopus or Gecko) from Little Bird Vintage Designs comes to life? In this series, I walk you through, step by step on the making of your Little Bird Blanket! Featuring our New Ava Bird Blanket with our Signature Ava Bird on a beautiful setting of Purple and Mint was inspired by my oldest daughter, 10 years ago! We’ve had 4 more additions to our Nest since and over 13 Collections within 4 Product lines to choose from! 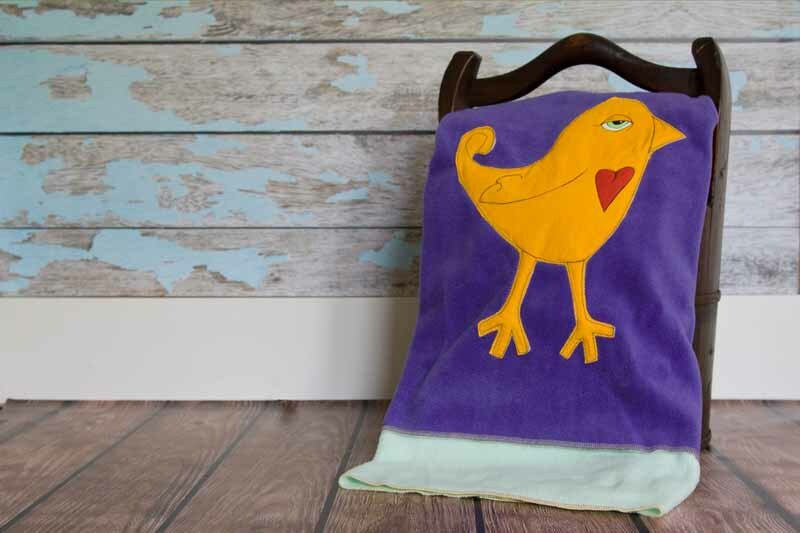 When a Blanket//Lovie//Pillow is purchased from Little Bird Vintage Designs, a Little Bird blanket is donated to a child in need at a local Children’s Shelter. Because I believe every child should be wrapped in warmth, love and happiness everyday. The Making of your Bird (Lion, Octopus and Gecko)!